There will be 3 programming projects during the semester and a final project. For the programming projects, you will be asked to implement some computer graphics algorithms. For the final project, you will propose a project which involves advanced graphics techniques and implement it. All projects will be submitted to courseworks. In this semester, we will have three paper-presentation sessions (see the schedule). You will be read some research papers and present them in class. In this assignment, you will implement a few Monte Carlo rendering algorithms. To help you make progress, we split the whole assignment into two parts. In part 1, the focus is the multiple importance sampling algorithm. In part 2, you will implement a simple volume rendering algorithm. 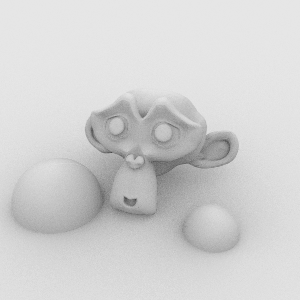 to see a demo of Ambient occlusion renderer. 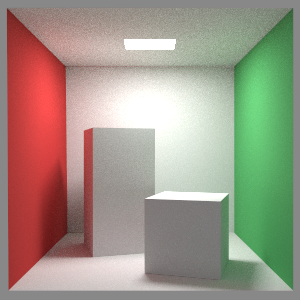 ray.renderer.LuminairesIlluminator for a luminaire sampling algorithm. 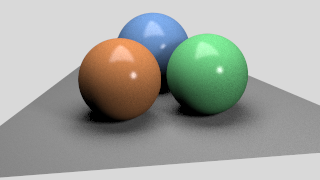 ray.renderer.KajiyaPathTracer for a Kajiya Path Tracer for global illumination that we discussed in class. ray.MultipleIlluminator for direction illumination but with multiple importance sampling. I have labelled the code segments using 'TODO' to indicate where you need to start coding. java -cp build/classes/ ray.RayTracer "scene file"
java -cp build/classes/ ray.ParaRayTracer [-s N] "scene file"
The former is a single-thread renderer to ease your debugging, and the latter is a multi-thread parallel renderer to shorten your rendering time. You use the "-s" option to specificy the number of rendering threads, and by default, it uses all available CPU cores on your machine. 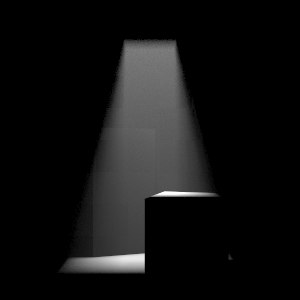 1 images rendered using cbox.xml with ray.renderer.KajiyaPathTracer. The width of these images should be at least 640px. You are also encouraged to include other images you created by your own to earn higher grades. 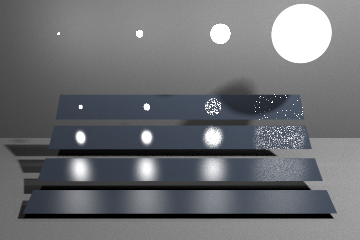 Whatever images you submit, please also include the scene files that are used to generate them. When you create your own scene files, you might need to create ".msh" file to describe a triangle mesh. 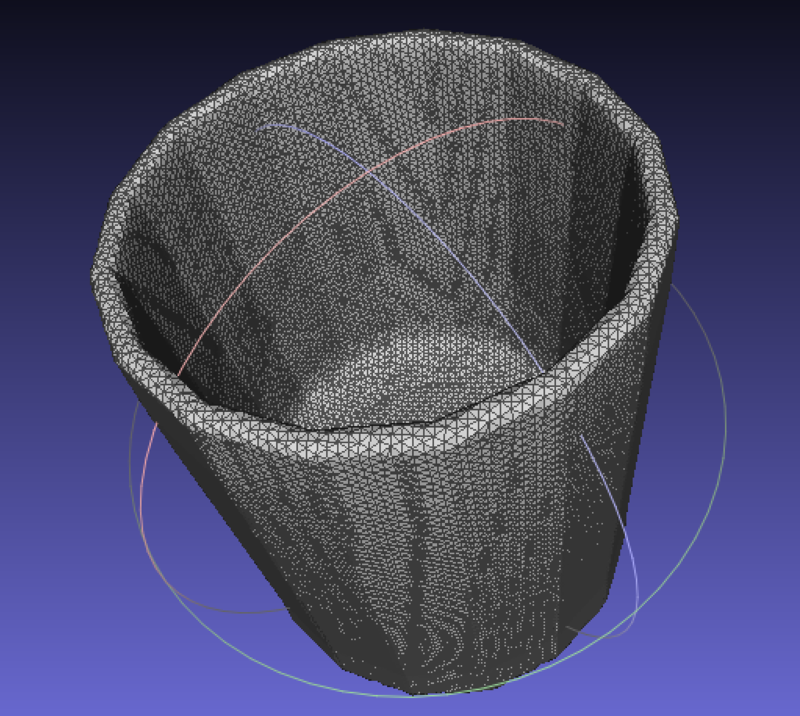 To this end, I provide a simple python script obj2msh.py to transform a ".obj" mesh file into a ".msh" file. ray.render.DirectOnlyMediumRenderer to implment the algorithm of volume rendering. 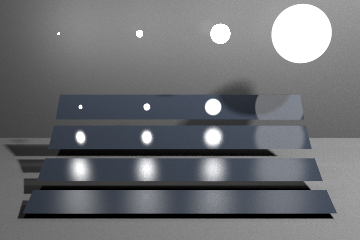 ray.render.LuminairesIlluminator for the direct scattering using phase function and incident radiance from the light source. Again, the width of these images should be at least 640px. You are also encouraged to include other images you created by your own to earn higher grades. Whatever images you submit, please also include the scene files that are used to generate them. A document discribing how you implment the algorithms, the mathematical formulas you are following, any reference you have used, and anything else you want us to know. 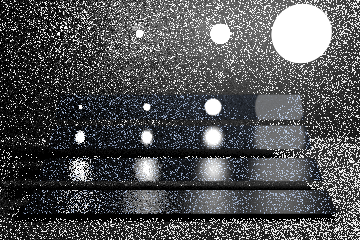 A gallery of images that you generated (see details above). 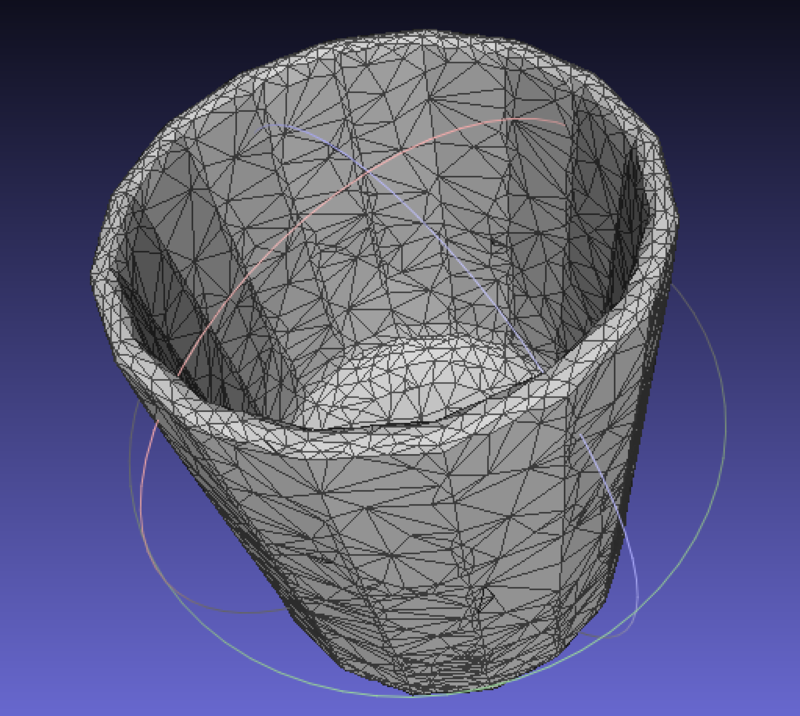 In this assignment, you will implement a mesh simplification algorithm. The core algorithm is detailed in [Garland and Heckbert 97], which we also talked in class. Bonus Points: The full points is 100 for this assignment. In addition to that, there are 25 points for implmenting an advanced version, by considering attributes in the siimplification. The algorithm follows [Hoppe 99]. In particular, you need to finish the code in HoppeMeasurer.hpp. I have put a "TODO" in the functions where you need to add your code. The "-a" option is only used when you implement the advanced version for bonus points. A well-commented source code, and make sure we can compile your code. We are going to use clic machine in CS to compile it. So test the copmile before you handle in your code. If we fail to compile it, you will loose some points. Input and output .obj files. We will run your code on your input .obj files, but it's easier for us to get sense what your results look like before running your code. In this task, you need to implement a simple finite element solver of Laplace equations on 2D. The starter code has already provide you the functinality to create a triangle mesh using a polyline boundary, as well as a sparse linear system solver (using Intel's MKL). You need to implement the discretization of the Lapace operator as we discussed in class. Code of Finish: THere is only one file that you need to finish, the fem/LaplacianOpt.hpp. Look for the "TODO" comments in that file for where to start coding. But again, you need to understand the code first. You only need to implement the 1st-order Finite Element solver as we discussedin details in class. Bonus Points: The full points is 100 for this assignment. In addition to that, there are 25 points for implmenting an advanced version. Instead of implmenting a 1st-order FEM solver, you can implement a 2nd-order solver. I already put some pieces of code in LaplacianOpt.hpp currently disabled by C++ macros "#ifdef LAPLACIAN_2ND". If you decide to accept the challenge and implement the 2nd-order solver, you are exempted from implementing the 1-st order solver. There are many libraries for solving a sparse linear system. Even Eigen has the feature of solving a sparse linear system. In the starter code, it uses the Direct Sparse Solver (DSS) provided by Intel MKL. So you need to install it if you decided to use it (it's free for students). Otherwise, you can use other sparse solver, for which you need to modify the code in laplace_solver.cpp. A well-commented source code, and make sure we can compile your code. We are going to use clic machine in CS to compile it. So test the copmile before you handle in your code. If we fail to compile it, you will loose some points. Note: we need to run your code when grading. Please make sure we can compile your code. Two output files from your code, containing respectively the printout from your code with the two test functions (TestFunc1 and TestFunc2). There will be no exam in this course. Instead, there will be a final project and a presentation. Grading: Your final grade will be a weighted average of the grades on the programming projects, final projects and paper presentation. Each programming project will account for 20% of the grade, the final project will account for 25%, and the paper presentation and discussion will account for 15%. Questions, help, discussion: The instructors are available to answer questions, advise on projects, or just to discuss interesting topics related to the class at office hours and by appointment as needed. For electronic communication we are using Piazza (link also available at the top of this page). Please sign up for the Piazza page. When posting questions, please keep them organized by posting them to specific folders. You're encouraged to read any published sources—books, articles, public web sites—that help you learn. If you find an idea in one of these sources that becomes part of your solution (or even gives you the whole solution), that's fine, but it is imperative that you explicitly cite the source on your homework or state it in a comment of your code. Otherwise you would be falsely claiming to have invented the idea yourself. Academic integrity: We expect complete integrity from everyone. We assume the work you hand in is your own, and the results you hand in are generated by your program. You're welcome to read whatever you want to learn what you need to do the work, but we do expect you to build your own implementations of the methods we are studying. If you're ever in doubt, just include a citation in your code or report indicating where some idea came from, whether it be a classmate, a web site, another piece of software, or anything—this always maintains your honesty, whether the source was used in a good way or not. The principle is that an assignment is an academic document, like a journal article. When you turn it in, you are claiming that everything in it is your original idea (or is original to you and your partner, if you're handing in as a pair) unless you cite a source for it. it's never OK for you to see another student's homework writeup or another team's program code, and certainly never OK to copy parts of one person's or team's writeup, code, or results into another's, even if the general solution was worked out together. School can be stressful, and your coursework and other factors can put you under a lot of pressure, but that is never a reason for dishonesty. If you feel you can't complete the work on your own, come talk to the professor or the TAs, or your advisor, and we can help you figure out what to do. Think before you hand in! For more information see Columbia Engineering's Code of Academic Integrity. Open Door Policy: We hope the course to run smoothly and enjoyably. Feel free to let us know if you find the course helpful and interesting. Especially, let us know sooner about the reverse. Drop by our office hours, leave us a note, or send us an email.